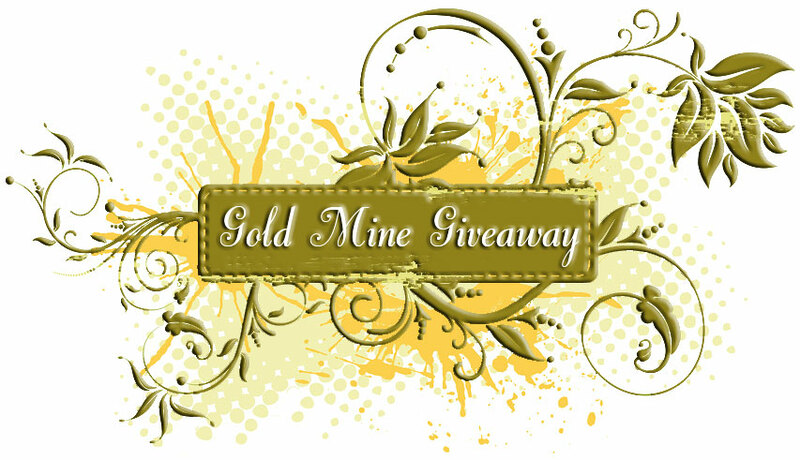 HomeGiveawaysGold Mine Giveaway: Win an Underwood’s Garnet Necklace! We don’t know what you’re planning to wear for Valentine’s Day this year. 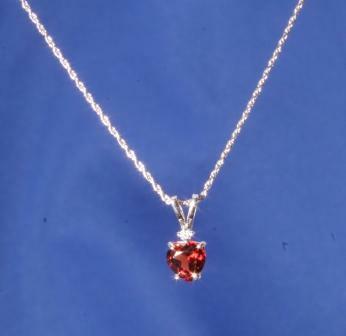 But we do know what could be sparkling around your neck that day, if you’re lucky enough to win our incredible Gold Mine Giveaway – a beautiful Garnet Heart Necklace from Underwood’s Fine Jewelers in Fayetteville. Check it out! Here’s the scoop on the jewelry: Underwood’s hand selects the loose heart-shaped garnets and sets the gems in a 14 karat white or yellow gold mounting, accenting it with a full-cut Underwood’s diamond. We’ve seen this piece in person at Underwood’s, so we know you’ll love it. It’s the perfect size if you need a focal point for your Valentine’s Day outfit or even if you want something for everyday wear. HOW TO ENTER: Regardless of your relationship status, Valentine’s Day is about telling the people you love how you feel about them. To put your name in the drawing for the Gold Mine prize, simply send us an e-mail at mamas@nwaMotherlode.com or post a comment (by clicking on the word “comment” below) and name at least one person you love and one super-lovable thing about that person. (Your spouse, your kids, your mom, your sister, brother, friend, grandma – you name it.) We may compile some of your comments into a Valentine’s Day article later this month. Even though we Motherlode mamas can’t win the prize, we’ll get the ball rolling with a posted comment of our own: We love our Motherlode readers and sponsors because their repeat visits, participation and great word-of-mouth in the community has turned this website into a real hit. Thanks! And good luck in the Gold Mine! I love my wonderful husband, Larry. I called him the afternoon I was diagnosed with breast cancer. He could tell by my voice that something was wrong. He wanted to drive to Johnson to pick me up, but I said “meet me at the house”. Though he was twice as far away, he made it home before I did. He went to my doctor’s appointments with me, and when my hair fell out, he made appointments for me to get fitted for wigs. He has always been the most supportive husband, and now, seven years later, he still brings me coffee in the morning, brushes my hair when I have a bad day, washes my car when I have to go out of town, brings me flowers for no reason, and loves me more every day. We just celebrated our 20th anniversary, and he took me shopping in Branson! What a lover, what a friend, what a man! This past week has once again proven why God sometimes puts two opposites together. This city girl married a country guy 19 years ago and while those opposites have been the cause of many frustrating ‘discussions,’ they also have made this wild ride worth the price of admission. We are still without power and my husband has used all those backwoods, camping skills to keep not only me and our four children, feed and warm, but my dear parents as well. I’m thankful to God that I’m still ‘attracted’ to my opposite! I love my husband Shane so very much. He has always been there for me no matter what. This past year has been extremely hard on my family in losing my mother and grandfather and he has been there beside me every step of the way. I am the luckiest girl in the world to have found such a wonderful man. Not to mention the fact that he is a wonderful father to our son Austin. I would be lost without him. He is my best friend as well as my husband. I love my boys! I have two rambunctious sons, ages 2 yrs and 9 months, who have hearts of gold and love their mommy. I love my other boy too — my husband, who is my best friend in the world and puts up with me! I also love my first boy, my little Jackson who did not make it very long but will stay with us forever! I am very blessed with my family! I love my partner/husband more than I thought possible. FK is the most unique and amazing person. There are so many examples of his commitment and devotion to me and our family there’s not room enough to write them. Here’s just one small one: last week during the storm, he stayed up every night “manning” the fire so we stayed warm. He didn’t sleep for four nights! He totally supported us staying in the house, because we couldn’t take our furry, four-legged kids with us to a hotel. He wanted all of the family warm and safe. He just looks at the world in a different, wonderful way and I’m amazed and thankful he’s my partner. I love my boys. My husband, Clinton, and my son, Colton. They are the highlight of my every day. Each morning I anticipate Colton waking up, with his wild hair and wrinkled brow, calling for his tractor and wanting to snuggle with his mommy. It’s hard to believe he will be 20 months old this week, boy how time does fly. I never knew what pure unconditional love was, until I laid my eyes on him. And little did I know, that I could fall in love with my husband all over again, just by watching him as a father. After almost 12 years together, and 9 years of marriage, time only seems to make things better. I love them both, more than words can say. I know I can’t win the goodies, but I wanted to say HAPPY BIRTHDAY to my not-so-little little girl who turns 7 today at 4:34 p.m. Have a fun day, Ladybug! And to my husband: I wouldn’t want to be on this journey with anyone else. Wow! Hard to narrow it down to just one person. I would have to state my son, no matter how my day has gone I can always rely on a smile and a big hug from him which makes everything OK. I love my husband Mike more than words can say. He loves me despite my imperfections, and there are many. He always tells me his goal in life is to make me happy. His love for our little girls is so very evident in the way he cares for them, plays with them, reads to them, gives them baths, helps with homework, plays endless games of boggle, holds them in the recliner at night when they can’t sleep from coughing, etc., etc. He’s my handyman, my partner, my encourager, and my best friend. After almost 15 years of marriage and 19 as a couple, I’m still so thankful he’s mine! The best love in the world: My son is truly an amazing gift. He is sweet and gentle, kind, generous, funny, happy, and wise. He makes me laugh and teaches me things. Sometimes I forget to appreciate all the wonderful things he has to share, but he forgives me. He is the person I want to be. I have amazing husband of 32 years!! He is a great Christian leading in our church and home. He has always been very supportive to me and our kids and now to our son in law and daughter in law. We have a Granddaughter (1st) and his love for her is amazing. Her face just lights up when he enters the room. I am so thankful to have him and appreciate him so much. God truly blessed me with his love. I am going to mention my sister this time ’round because my sister-friend was born on Valentines day. She has been gracious enought to share her day of love with the rest of the world! I would love to give this to her for a B-day present! I love my parents. They adopted me almost 42 years ago and have made my life so special. I do not feel as though I am missing anything and have had all of the benefits of two loving people who are still married. I love my 2 not so little boys, Johnathan (9) and Cameron (6). I can always count on them to give big hugs and I Love Yous. They keep me on he go with their love of sports and life in general. They are truly the light of my life! My husband is super sweet to me even when I’m not super sweet to him! Ryan will even cut up my steak and bring my plate to me! I’m really high strung and quick tempered, but Ryan seems to balance me out. If that’s not true love, what is? I love my four precious children because they keep life from being ordinary and are always good for lots of hugs and kisses. I love my husband, my children, and grandchildren. Nothing is more important in this life than family. They are there for me no matter what happens and I love them more every day. Okay, I was going to be unique and NOT talk about my hubby, but I guess it’s not possible. We met on Yahoo Personals, he moved to NWA from Colorado Springs for me, and he jumped in with both feet in a marriage that included two pre-teen females. How can you not LOVE that?? The icing is that we also now have an amazing son, and my hubby constantly reminds me of all the things I was missing in my first marriage – partnership, cameraderie, laughter, shared goals… and he supports my independent goals as well. I’m stupid with love for the guy, and it’s well-deserved. I love my husband Ben more than I ever thought possible. He is always there for me and puts up with me through thick and thin. I never thought I could love anyone the way I love him. He truly makes me happy. Okay, I also have tons of people that I love in my life, but I would love to mention my bestest friend as others have mentioned the husbands and kiddos. She and I have been bestest friends since 1991 and she and I have pulled each other through the toughest of times. I can’t imagine my life without her and her kind spirit. Her name is Jennifer. I love my husband, Andy. He told me he wants to start running again, for me and our daughter- so that he can be “around longer” for us. That is the best gift (from him) that I could ask for- his time. I love my husband, he is the most considerate person I know!